Why Should I Hire Applianceman to Fix My Refrigerator? 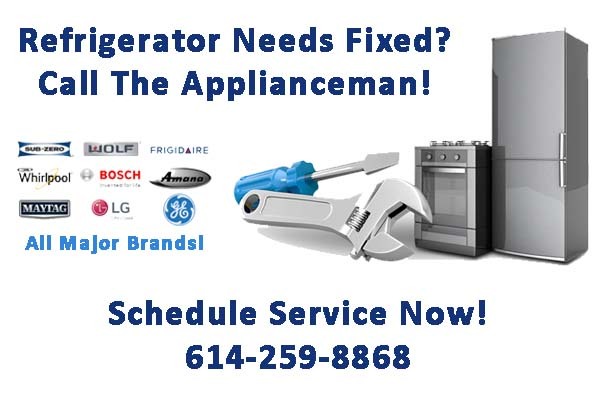 Applianceman has Greater Columbus Ohio’s “go to” refrigerator repair expert for more than 30 years. 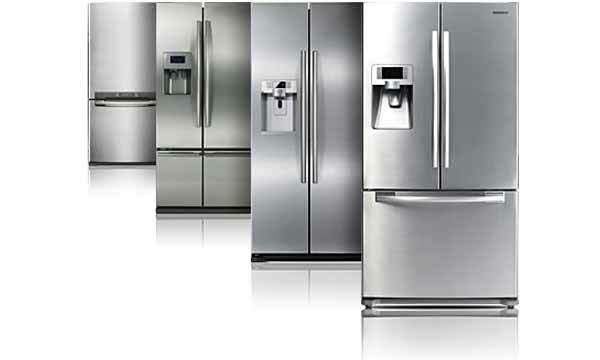 We are therefore the best choice in refrigerator repair. Homeowners continue to rely on the unmatchable knowledge and abilities of our highly trained technicians. We’ve built an outstanding reputation based on our commitment to fixing it right the first time! If your refrigerator is dead or is not cold enough… Turn the thermostat up to the next highest setting. If it comes on, let it run for 24 hours and check temperature to confirm it is working properly. If the condenser coils are underneath the refrigerator, clean the coils with a vacuum cleaner at least twice a year. Make sure breaker or local GFCI isn’t tripped to ensure power (typically by plugging in a device in same outlet to double check). Clean the coils on the back of the fridge, because they help get rid of heat. Cover your food, because the moisture from the food makes the compressor work harder to keep it cool. Keep the door closed so cold air does not escape, so your fridge will use less energy. Use Smaller fridges if you have a smaller family, because larger refrigerators uses up more unnecessary power. Keep your fridge at the right temperature: the Department of Energy recommends keeping it at 37 to 40 degrees Fahrenheit, while the freezer should be at 5 degrees Fahrenheit. Check the seals around the door. If the seals are torn or warped, you could be letting in room temperature into your fridge. Seals should be replaced if the temperature is not maintaining the recommended degrees in Fahrenheit. Make sure to defrost the freezer regularly, especially if there is more than a quarter inch of frost build up. This can restrict air flow and make it difficult to cool. Stock the refrigerator well to help it regulate the temperature. If you don’t have a lot of food, place pitchers of water inside to help maintain a regular surrounding temperature. Don’t put hot items in the fridge right away, because the compressor will have to work harder to cool the air, which wastes electricity. Wait for your food to cool to room temperature before putting it into the fridge. Turn off the ice maker when you aren’t using it, because it can use up a lot of power. Consider turning it off when the ice box is filled. Keep your fridge away from a heat source such as ovens and ranges because the external heat source makes your refrigerator work harder to keep cool. If your refrigerator has problems that you just can’t figure out, then call The Applianceman Service today and we will get you scheduled for an appointment! Call us for a consultation. If you have questions, then we have answers! 614-259-8868. For general non-emergency issues, please contact us via email info@applianceman.net.